I was always fascinated by the hitman life, or is it better to say hit-person? Anyway it's not like I know a hitperson or anything but that total disregard for the line between life and death must be a dark place. And for a morality-crushing, dark video game, playing such a creature as the hitman is the closest thing you'll get to the real thing. Not that I'm speaking from first-hand experience, just assuming because it has to be strange to be paid to cause death for a living. Cause death for a living. Get it? 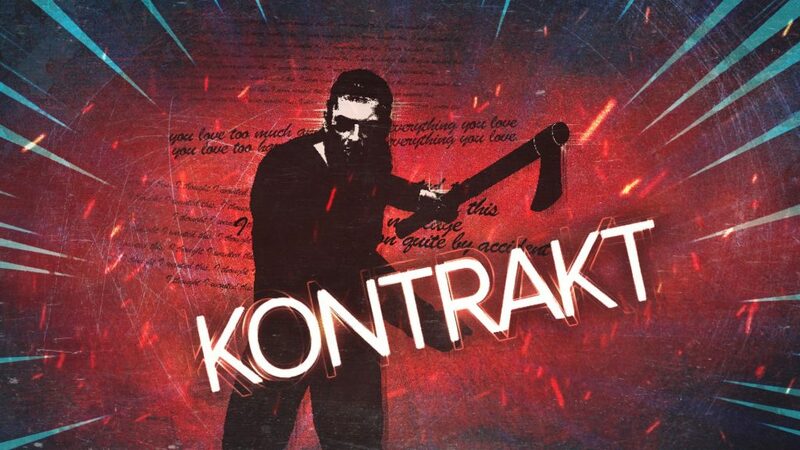 Kontrakt by ShotX Studio caught my attention primarily for its header art, which I did a "hit" on by taking it off of some website. First step to being a hitman done. Since I have no lack of mortals and got no rush from that I guess this game is all I have after. Graphically it has a late-1990s feel with lots of details and an incredible soundtrack all designed by one guy from Georgia (the country you idiots). The basic premise is you are a schizophrenic hitman hired to take out a variety of high-profile targets in the "City of Light." You have three different weapons to pick each time (which rotate with others) and drops from enemies supply further weapons during play. You also unlock special items and skills you can set before playing each level. Kontrakt doesn't require much before you play, you just jump into it. And get killed. That's because this game is not for sad mad bad clowns. It will totally destroy you in the first few moments. You technically have a few hits, but a direct shot from the right gun will kill you instantly and in your path to kill each target, which include an art-film director and child-trafficking brothel owner, there are tons of bodyguards in the way. Once you clean each level, or floor, of bodyguards and eventually your target you burn the MF after coating it all with gasoline (see below) and then go back to your boss, Mr. Chao, for your the assignment. That's typically where the game gets extremely existential in the dialog and makes you question why in the world you bother living. Why not be a hitman? Not saying I would but damn. 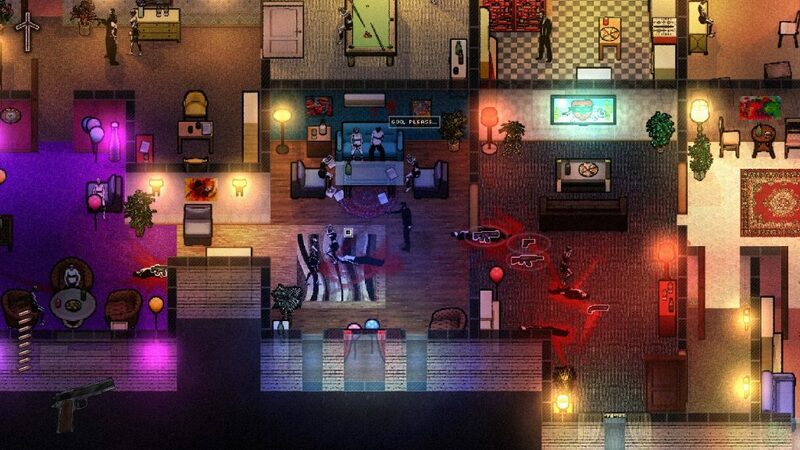 Kontrakt has expected unlocks like kill counters for each gun type and killing targets in a set time, but in addition there's a mystery running the plot you get pieces of in your apartment between scenes. Further, the developer has just added the new "Devil's Game," which places you into a large map with constantly spawning bodyguards and a black cloud that obscures your position if you stay still for too long. This play format has a leaderboard, which is cool, but you won't beat me so you're better off just being a real hitman. 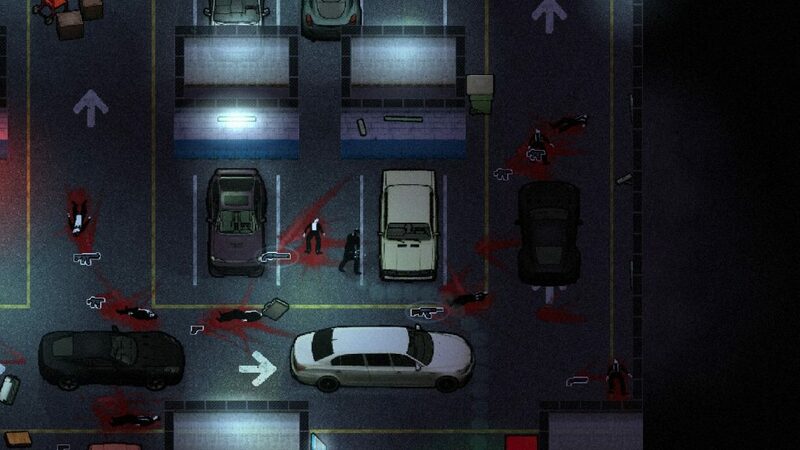 As an indie title Kontrakt offers what it needs to: extreme violence with no care what society thinks, a great soundtrack made from acid-laced snorted gunpowder, a twist on mental illness and the core concept that would never pass a censorship board, and extreme challenge for the true hitman in you. Not saying you'd do that, but here's what it's like. Not saying I know but it must be like this. Why not get it out of your system in the least inhumane way possible?